As a result of many letters being sent to state representatives, Rep. Mazie Hirono has decided to co-sponsor the “Offshore Aquaculture is not Fishing Act of 2009”. The bill asserts that under the Magnuson-Stevens Fishery Conservation and Management Act, the Secretary of Commerce, the National Oceanic and Atmospheric Administration (NOAA), and regional fishery management councils do not have the authority to permit or regulate the commercial ocean fish farming industry, because it is not fishing. The federal law that gives the Gulf Council and NOAA authority to regulate fish and fishing region-by-region was not intended to govern risky industrial enterprises like ocean fish farms. This is a step in the right direction for the regulation of offshore aquaculture, which might soon happen in the Gulf of Mexico, and expand in places like Hawaii. Just as we need to be off imported oil, we need to be off imported seafood. This opportunity can be an economic engine for Hawai’i, and hundreds of millions of dollars are at stake.Let’s not stand in our own way. There’s a lot to gain for everyone. The amount of seafood that we import is really astounding. It is upsetting, though, that in the wake of a very large aquaculture operation, which would export up to 90% of its ahi products, statements like the above, are used to defend it. There are anti-aquaculture groups who don’t want “greedy” corportations to make a profit and export aquaculture products to outside markets. Those groups don’t acknowledge andvancements in the technology, and regularly diseminate disinformation about the industry. They’ve been pulling out all the stops, apparently bent on wiping out open ocean aquaculture in Hawai’i. Theyre’re completely wrong. Without open ocean aquaculture, Hawai’i would have to depend on foreign unregulated producers and overfished wild stocks. Those options are not nearly as secure or sustainable as the development of homegrown open ocean aquaculture. I do not think of myself as entirely “anti-aquaculture”, I just think it should be done right. My cause is not to “diseminate disinformation”, it is to let people know that there are serious implications that multiple aquaculture ventures could have on Hawaii’s marine ecosystems. It is also to open peoples eyes to aquaculture in other parts of the world, and to how it has affected those places. This article makes it seem like there is some hidden agenda beneath fighting these giant open ocean aquaculture projects. But really, I have nothing to gain from this. I have neither read nor heard anything pro-open ocean aquaculture, aside from the people who would benefit direcly from it. As a former telescope system specialist on Mauna Kea, I value both Polynesian and modern astronomy. Unfortunately, the West Hawaii Today editorial endorsing the Thirty Meter Telescope Board’s selection of Mauna Kea over Chile contained several inaccuracies—and one insult to Hawaiians. Portraying modern astronomy as an extension of traditional Native Hawaiian star and navigational knowledge is inaccurate and obscures the fact that modern astronomy now threatens to displace traditional astronomy on Mauna Kea and the people who practice it there. Hawaiians use Mauna Kea’s high elevation landscape for ceremonies that contain star and other knowledge essential to modern Hawaiian voyaging, knowledge our ancestors used to discover thousands of tiny islands spread over ten million square miles of the vast Pacific Ocean, before the time of Christ and millennia before modern astronomy. But the constant building of new telescopes has destroyed critical landmarks and obstructed essential view planes that reveal star paths and astronomical alignments. 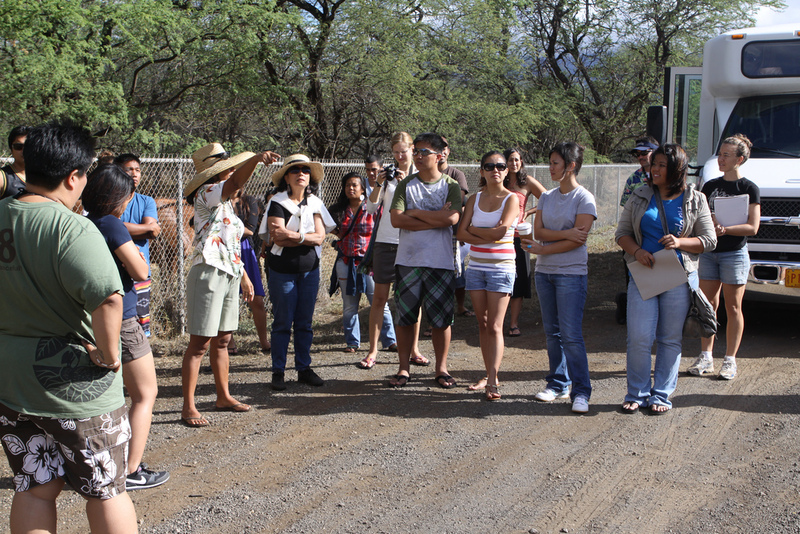 Too much of Mauna Kea’s landscape has already been leveled, and TMT plans to bulldoze more. Eventually, thousands of years of traditional knowledge codified in the landscape will be lost, and practitioners will no longer be able to keep the knowledge alive. With TMT may also come nighttime access restrictions to areas we now use for traditional astronomy. These are among the reasons Hawaiians urged the TMT Board to build in Chile, which their own analysis suggests will inflict less environmental and cultural damage.